Far too few of these stories get told, so I decided to write about it in the context of a similar situation that happened to me. It’s the story of a young black kid who was struggling to tie his tie. I remember the first time I tried to tie a real tie, and a similar thing happened to me. My grandfather never taught me how to tie on, since all my ties were cheap and “pre-tied” with that little clip on the back. It was an older white man, the father of one of my friends who helped me. 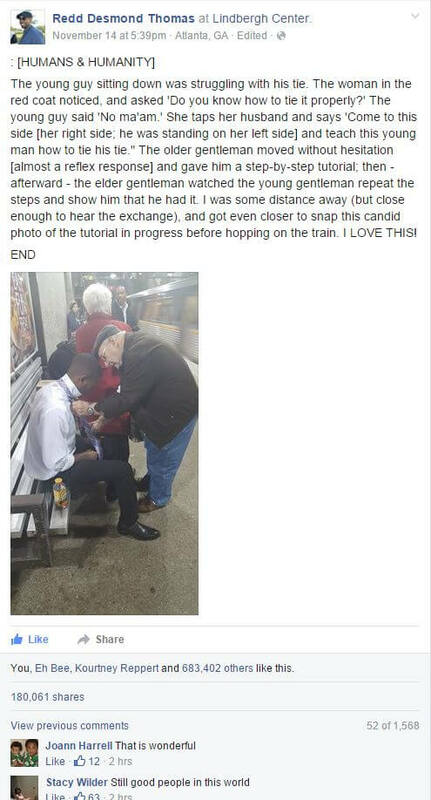 What most stands out to me in this story is that the old white man helped the young man, as if he were helping his own grandson. There were no color barriers or language barriers, just a child who needed help and a mentor willing to do so. That represents America to me. 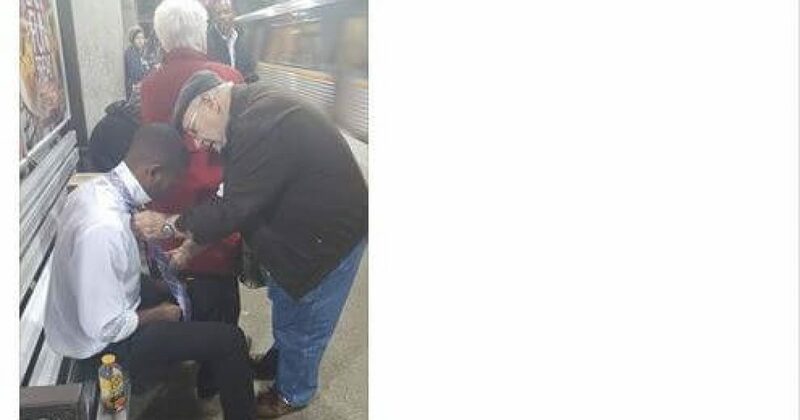 So when you see all the nonsense around things like #BlackLivesMatter and other created Liberal nonsense, remember this small gesture.